Ernie and Bert’s friendship is one of the many delightful things about Sesame Street. They are devoted to each other in the way only the truest of friends are, willing to sacrifice something that makes them happy if it means their dear friend will be even happier. Especially at the most wonderful time of the year. 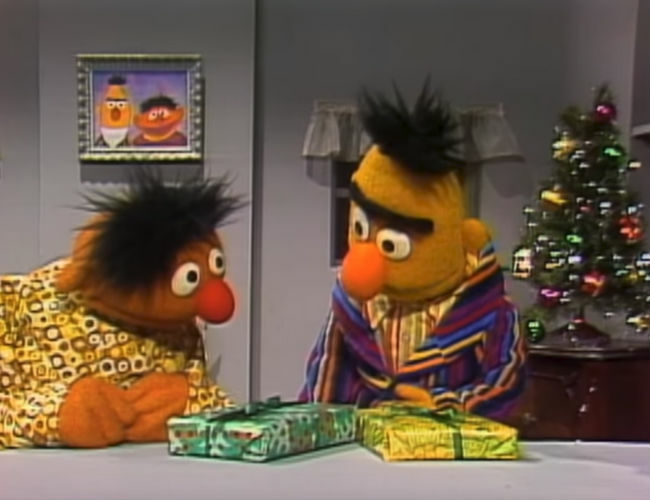 In this gorgeous Christmas scene, taken from the 1978 special Christmas on Sesame Street and featuring the still much-missed Mr Hooper (Will Lee who died in 1982), we see the full extent of Bert and Ernie’s selfless friendship when each of them gives up something precious to make Christmas truly special for the other. It will warm your heart, bring a smile to your face, and remind you, if you needed reminding, that it really is the sentiment behind the gift that makes receiving them such a joy.